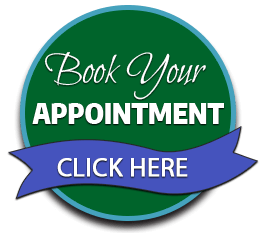 Auto Accident & Personal Injury Chiropractor in Woburn, MA: It is very important that you seek care from Woburn chiropractor, Dr. Michael Pendolino immediately after a car accident or other type of accident. The effects of such accidents can worsen or can lead to long-term pain if they are not addressed right away. The body also may not be able to feel the full extent of some injuries until hours, days, or weeks later due to adrenaline and other stressors masking the pain. At North Shore Spine & Rehab, the team offers chiropractic care and other natural treatment options to aid in a patient’s recovery. Whether it is back pain, whiplash or other symptoms resulting from an accident, chiropractic care can bring your body back to how it used to be pre-accident. Dr. Pendolino will work with each patient to find the most effective course of action. Chiropractic Care: Regular chiropractic adjustments with Dr. Pendolino provide effective pain relief for a variety of conditions. He provides patients of all ages with a non-surgical alternative to healing pain and injury. Various techniques are used at the practice in order to remove pressure from spinal nerves caused by vertebrae misalignment. Spinal Decompression: Spinal decompression therapy is done mechanically using the DRX 9000 at our Woburn clinic. The spine will be stretched and repositioned in order to relieve the pressure within your spinal discs. The manipulation and stretching of your spinal joints also works to free trapped nerves, reduce pain, restore your body’s range of motion and realign your spinal column. Physiotherapy: Physiotherapy as it is a non-invasive therapy that addresses problems in the discs, joints, nerves, tendons, muscles, tendons, and ligaments in addition to working with sports injuries that cause pain, weakness and stiffness. The objective is for the patient to regain pre-injury levels in all aspects of their physical fitness and to prevent any future injuries from taking shape. Acupuncture: Our acupuncturist inserts sterilized needles just under the skin or deeper in order to reach muscle tissue. These needles stimulate sensory nerves under the skin and the body’s muscles. This stimulation allows the body to produce natural pain-relieving endorphins, which are the substances most responsible for the beneficial effects of acupuncture. Acupressure: Acupressure therapy uses pressure and massage techniques to stimulate the body’s muscles and sensory nerves instead of using acupuncture needles. This is usually done through the use of fingers, palms, elbows or special devices in order to apply the necessary pressure to different points on the body. Our chiropractic office in Woburn works with many types of insurance. We can counsel you on how to file a personal injury claim if need be. You can also review our insurance page or call for more information.